Welcome to my blog! I’m Tricia and I’m the main character of this crazy show. I’m married and have one son. I became a little addicted to blogging and social media while doing my time on bed rest (23 weeks) with my son. My addiction has grown from mommy blogs and baby websites to the great wide world of DIY and home decor blogs. I swoon over antique and vintage furniture and all natural paint products. Which is why I've decided to start a new little adventure called The Painted Chest. 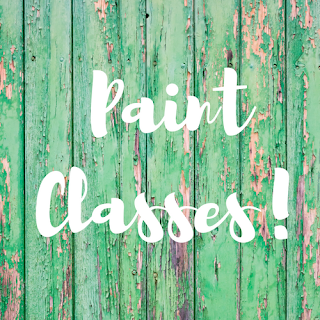 At The Painted Chest, you will find my hand painted antique and vintage furniture as well as vintage home decor for sale. Follow along and watch my business grow and see my crazy misadventures while doing home improvement projects, preschool crafts, or Pinterest recipes gone bad.